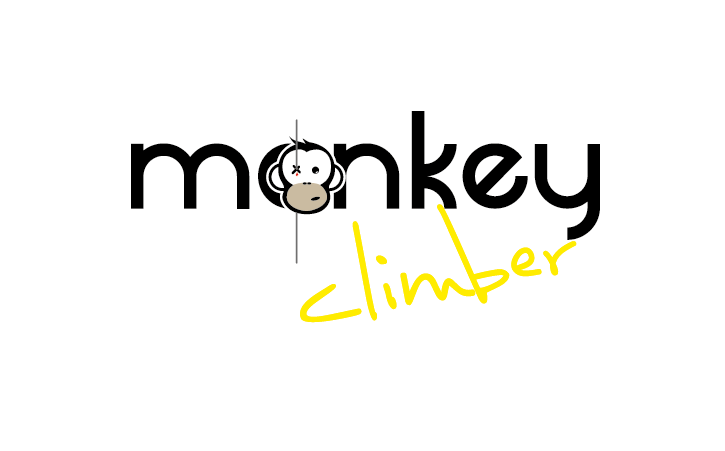 Last month we’ve added a new distributor for Czechia and Slovakia to our growing list of Distro’s. Robin is the guy behind it and he plans not only to do our merch, but also translate some of our best magazine pieces into his mother tongue. Give the guys in Cz/Sk a follow by liking this page! Update! Another Cz/Sk distro in town! 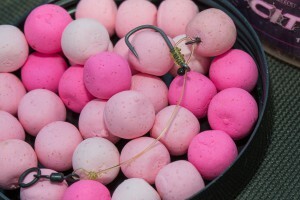 Go and check out Carpnation! 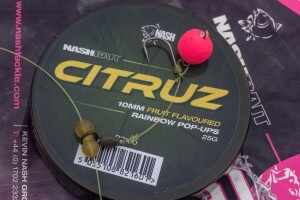 300 short Nash chod rigs & Citruz samples for free! 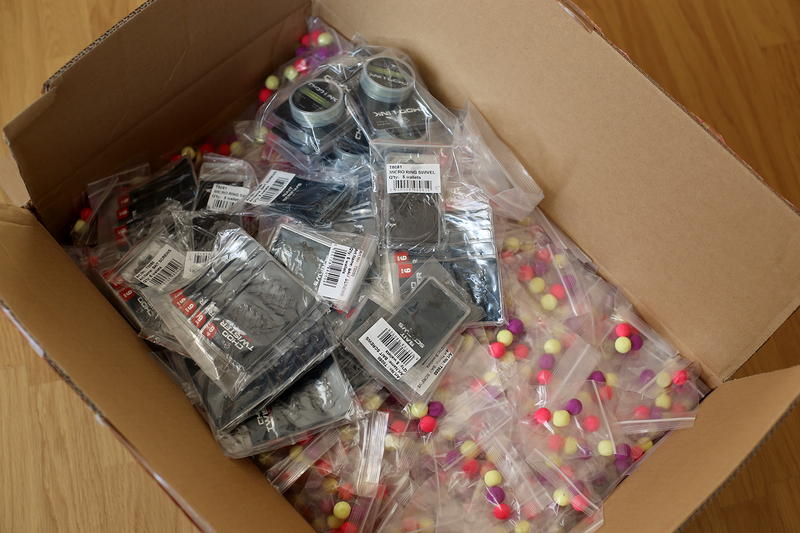 A hell of a job but someone had to do it… Last Winter we received a big, big box full of Nash end tackle to build no less than 300 chod rigs, plus 300 Citruz pop up samples to give away. It took lots of long evenings and even on shop open days you would see our editor Gio constantly tying up his fav short chod rig. Starting today, each and every order on our Bigcartel shop will receive a free chod rig tied by us, plus a pack of Citruz pop up samples*. 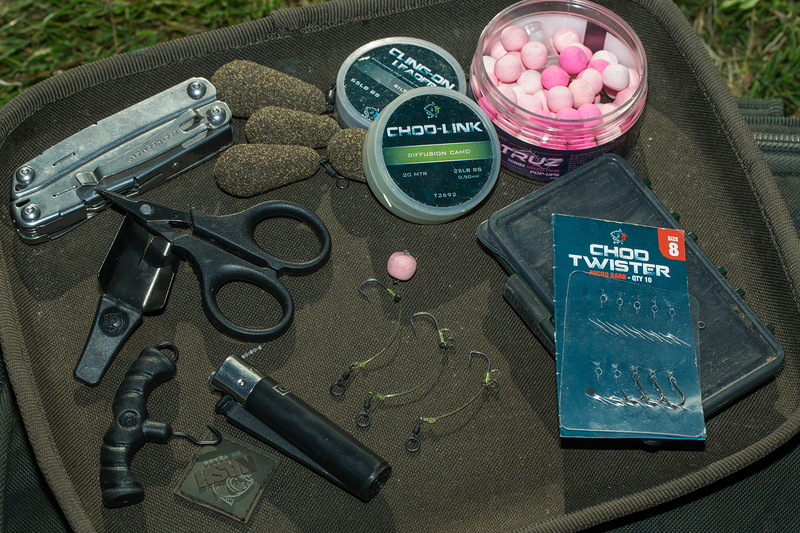 The thing you’ll need: Nash chod ingedrients. 1. 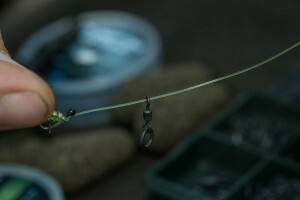 Chods require a special type of nylon with specific properties to allow a finished rig to be shaped for maximum efficiency. 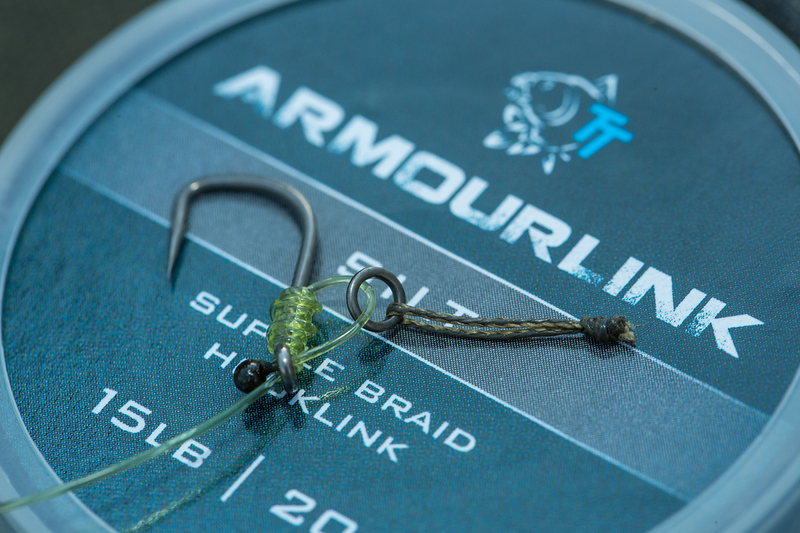 Alan uses the heavier 25 lb (0.50mm) Diffusion Camo Chod Link. 2. 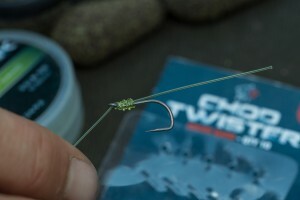 Cut a six to eight inch (15-20cm) length of Chod Link and leaving a ‘hair’ of 5cm whip a five turn knotless knot. Alan wraps the tag end of the Chod Link around the whippings twice on the way back down before passing it through the eye. 3. If you need to leave hookbaits out for long periods pass a 2.5mm metal rig ring on to the hair. 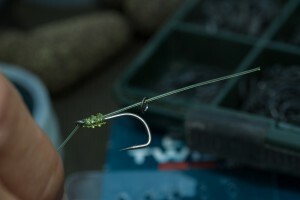 Where hookbaits often only need to be out a few hours slide on a Bait Screw instead for faster, easier bait mounting. 4. Pass the tag end down through the eye to form the D loop. 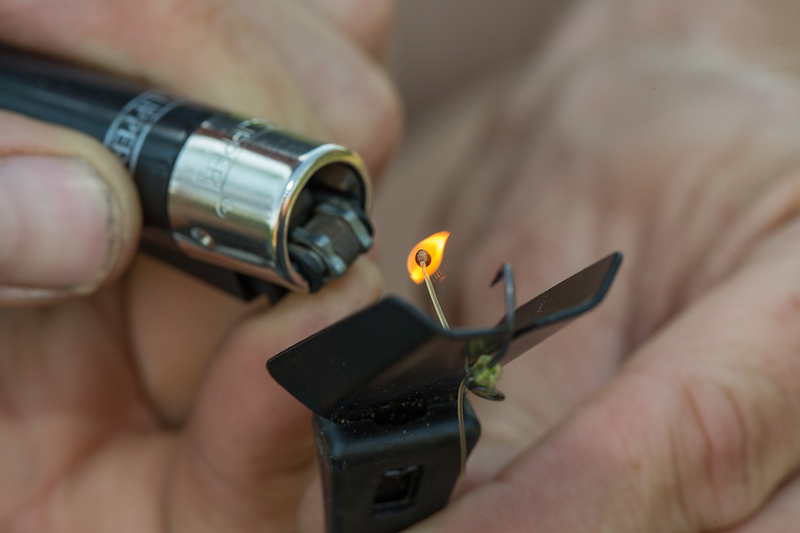 Thread the tag through the slot in the Rig Flame Shield and offer a lighter to it. Once the tag burns down to the metal shield simply blow it out – no more burned fingers or thumbs! 5. 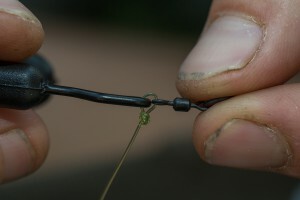 Thread the tag end of the link through the small eye of a Micro Ring Swivel. 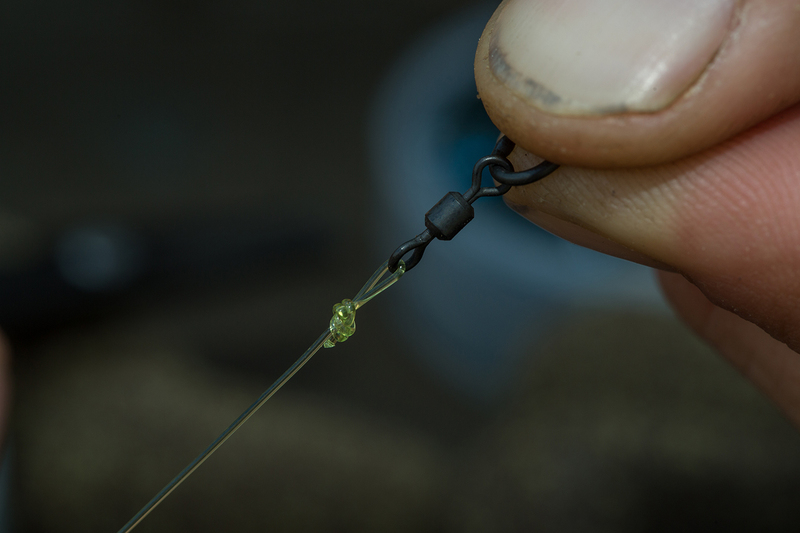 Position the swivel along the Chod Link at the distance you want the finished rig to be. 6. Double the Chod Link back on itself, and tie a simple overhand knot, passing the swivel through the loop. Using a loop knot allows you to keep your chods really short, other knots aren’t so good because the link gets longer as you draw them tight. 7. 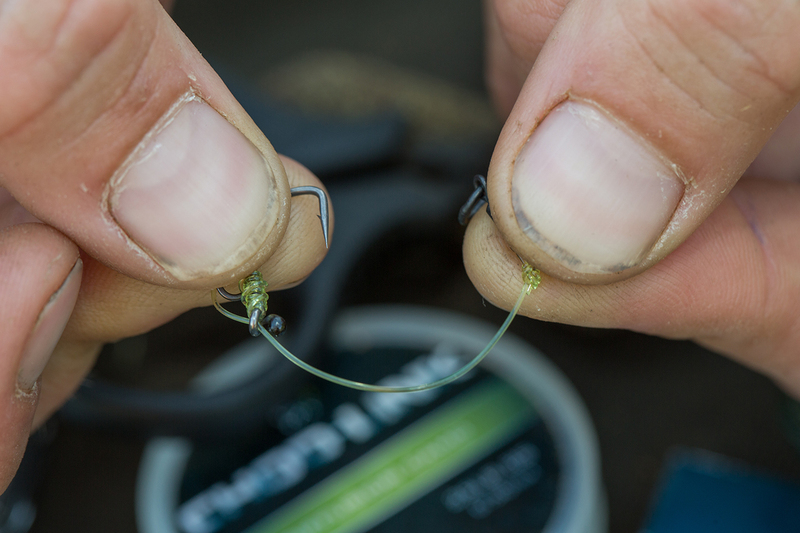 Keep the loop by the swivel small but using the end of the Puller tool, ensure it is nice and round. This helps the bait sit up correctly and gives the link greater movement for better hooking. Small details like this are really important with chods more than most rigs. 8. A chod needs to be in a C shaped curve, helping it spin and look for a hook hold as the bait is lifted off bottom by a carp. 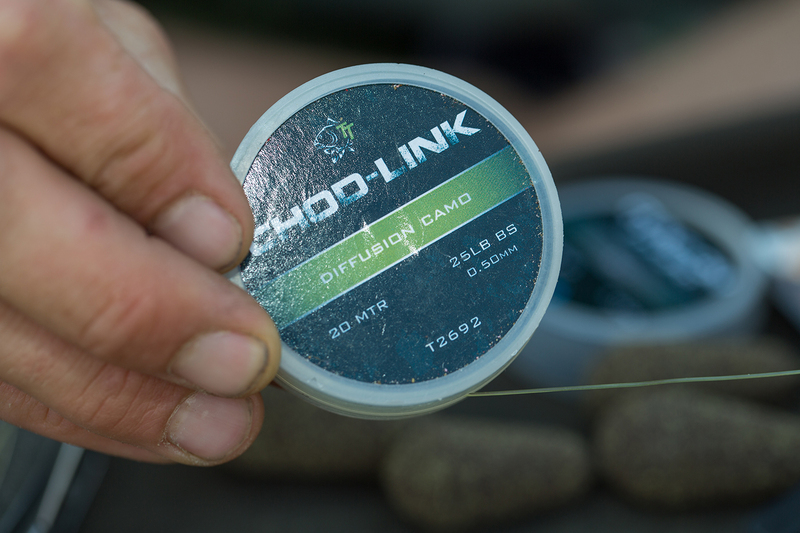 There’s no need to steam Chod Link, you can just curve it around your fingers until you get the ideal C shape. 9. Take a short length of 15 lb Armourlink or the fine inner braid from Combilink, pass it through the rig ring and tie an overhand knot to produce a hair the length required for your chosen pop up. Trim the tag ends and blob the knot to keep it secure. 10. From start to finish a good choddy will only take a minute or two to tie up with practice. 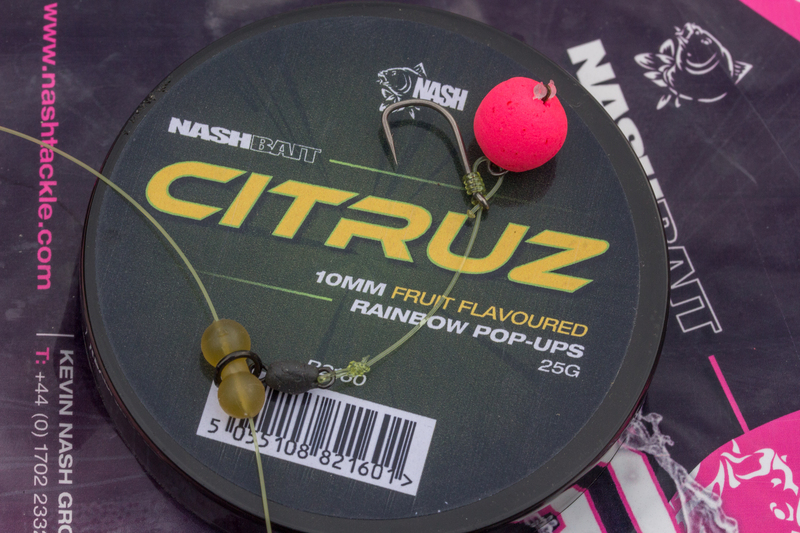 Add a 10mm Citruz pop up and you’ve got quite simply the very best combination of bait and rig to cast almost anywhere and stand a great chance of catching a carp. 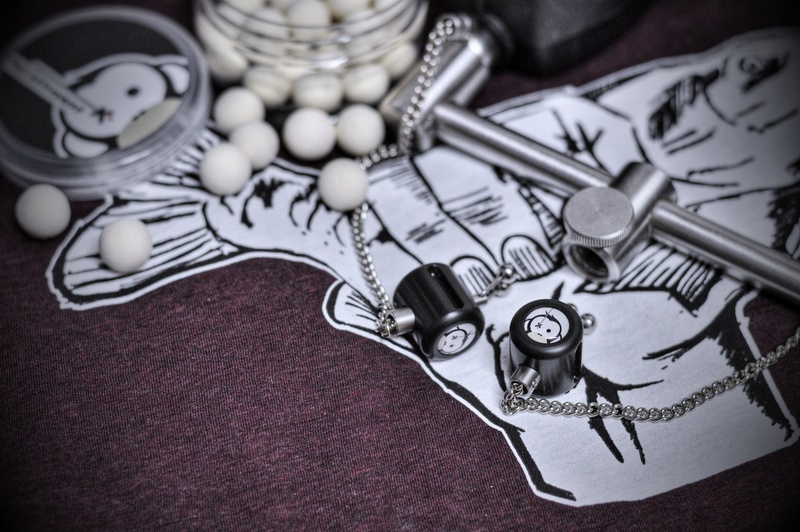 * Everything that is shipped under a flat rate envelope (eg stickers) will only receive the rig and not the pop up samples. Everything that goes into parcels will receive both. A group of French carp anglers doing a social with their club on the night stretch at Jugon-les-Lacs (Dept. 22) have been ruthlessly attacked by a group of Romanians this weekend. Apparently tensions between the two groups already during began daytime when the Romanians tried poaching some fish at the lake, leading to a major disagreement with the carp anglers present. After having already returned in group but stopped by the police who were yet present, at night, three Romanians silently returned armed with iron bars, sticks with needles and pins, and an aggressive dog, jumping on their sleeping victim, Mr Gaetan Portier, president of the club. Several carp anglers were injured (mostly bruised), Gaetan’s wife said to local media, but Gaetan himself still is in hospital fighting not to lose his eye. And even if he doesn’t, it still remains quite unpredictable if his sight will ever recover. Again according to first hand witnesses we received, two carp anglers who knocked out two of Gaetan’s aggressors now risk serious prosecution as these two needed to be hospitalised as well. Can you believe this? For those who care, please send your wishes to Gaetan himself on his FB profile!